If you’re still seething about the mumbled, limp-haired mess that was True Detective Season 2, you should (1) move on and get a life! Everybody’s talking about Fargo now! And (2) you finally have someone to direct your anger at: HBO’s President of Programming, Michael Lombardo, who says it’s mostly his fault. 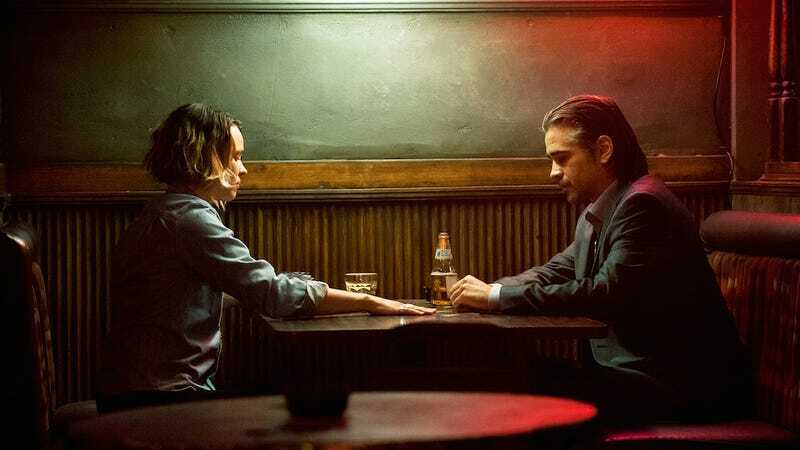 Sitting down to talk television with The Frame, a radio show on Southern California’s KPCC, Lombardo was asked to address the difference in reception between seasons one and two of True Detective, both of which were penned entirely by showrunner Nic Pizzolatto. “Our biggest failures—and I don’t know if I would consider True Detective 2 [a failure]—but when we tell somebody to hit an air date as opposed to allowing the writing to find its own natural resting place, when it’s ready, when it’s baked—we’ve failed,” Lombardo replied. So can we really blame time (and Lombardo) for exchanges like this one? Semyon: I’m feeling a little apoplectic myself. Or this kind of dialogue? Maybe we can. Maybe we can. In November, HBO signed an overall deal with Pizzolatto, but it remains unclear if this will lead to a third season of True Detective or other projects. Either way, it might be awhile. Anyway, you should really be watching Fargo.